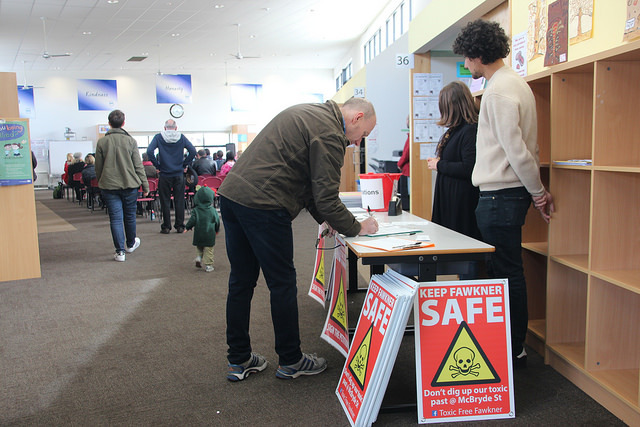 Residents of Fawkner gathered on Sunday for a public meeting to discuss the toxic legacy site at 100 and 102 McBryde street and the surrounds. The meeting was held at Fawkner Public School, kindly provided by the school principal. A development application to erect warehouses at 102 McBryde street is currently before Moreland Council Urban Planning Committee. A Council Officer proposed motion was given to Councillors an hour before the last Urban Planning Committee meeting. As this is a contentious issue Councillors voted to defer a decision on this application to September. 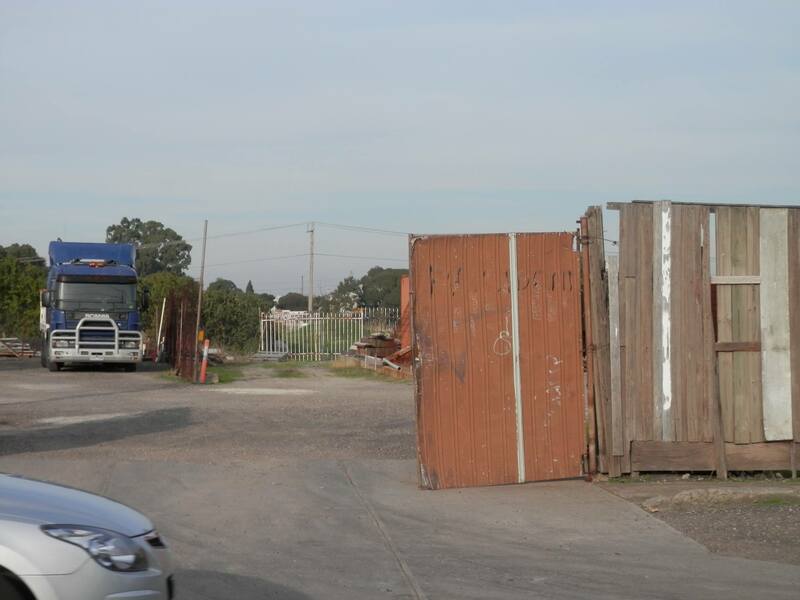 Questions were raised about the Fawkner toxic site in McBryde street at Moreland’s August Council meeting regarding EPA site testing, environmental audits, testing the footpath, and whether all information was provided to planning application objectors. A report on these questions will be presented at the September Council meeting. 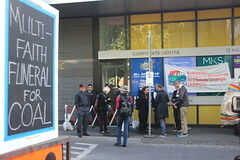 Whether it is the Morwell mine fire, toxic soil contamination in Fawkner or the Fire in Coolaroo we need the EPA to be a champion for the community, but to do that it needs adequate resourcing, including in house scientific expertise, a rapid response for monitoring pollution events, willingness and resources to enforce regulatory compliance, and a change in the behavioural culture with regard to engagement with local communities to champion environmental justice. 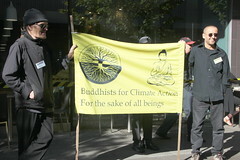 Earthmatters program on 3CR community radio looked at the changes to the Environment Protection Authority (EPA Victoria) through the prism of two local communities and Environment Justice Australia. The program was broadcast on Sunday, 30 July 2017. These interviews explain longstanding community reticence regarding working with the EPA, in trusting their methodologies in often slow deployment of monitoring and testing, and their poor communication and engagement with local communities. 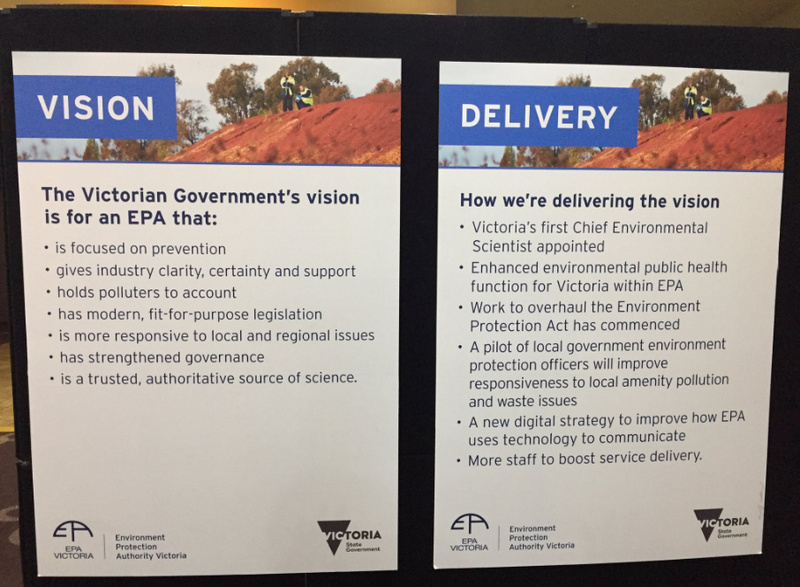 Listen to Wendy Farmer from Voices from the Valley (Facebook) in Morwell and Brian Snowden from Toxic free Fawkner (Facebook) on two community experiences with the EPA Victoria. Jumping to conclusions too soon is bad reporting. The following story was run by the Moreland Leader on Monday 17th July yet we are still awaiting the results of tests for furins and dioxins from Germany from the EPA test samples. 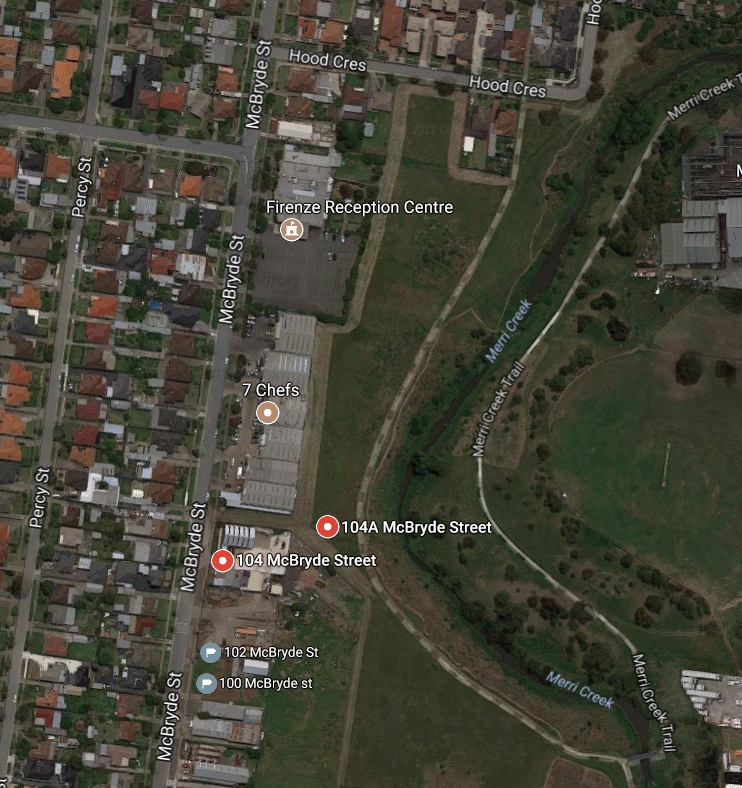 Residents have also queried the methodology for the EPA test samples, being limited to surface water samples only from behind the factory and from Merri Creek, offering only a very limited assessment of surface signs of contamination associated with the whole area. The EPA April tests did not take any samples from 100 or 102 McBryde street for testing. The news report also does not take into account that the owners agents raised at the Planning information and discussion meeting on 29 June that they have drilled some holes to test the depth of the clay cap at 102 McBryde street, and their limited testing of the soil beneath the cap found it was still contaminated at a level consistent with the 1995 environmental audit report. Just for the record, this question was asked in State Parliament on 8th June by Greens MLC Colleen Hartland covering both reform of the EPA and the management plan for the Fawkner Toxic site. The EPA conducted tests in April. I understand these tests amounted to surface water from behind 100-102 McBryde Street and water in Merri Creek. The question needs to be asked: were these tests sufficient to report “no contamination beyond the site”? We don’t know the exact location where these samples were undertaken. We are still waiting for test results from Germany regarding furans and dioxins. We do know that the owners have drilled some holes to test the depth of the clay cap at 102 McBryde street, and their limited testing of the soil beneath the cap found it was still contaminated at a level consistent with the 1995 environmental audit report. 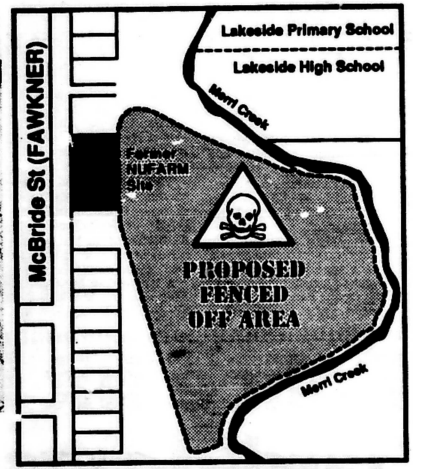 So we have dioxin contaminated site at 100 and 102 McBryde st, Fawkner, and now VicRoads wants to subdivide 104B McBryde street just north of the contaminated site. Perhaps 25 houses and a road to go in. The subdivision plan encroaches closer than 50 metres to Merri creek which means it fails to comply with Moreland’s open space strategy. We need a full and open environmental audit of the contaminated site and surrounds before we do any sub-division and development. That’s simple precautionary principle. The risks from living near a toxic site are not clear, but if not managed properly could have a high impact on population health. We have already seen cancer clusters on McBryde street and in Reservoir in the surrounding area to the NuFarm site in the past. Therefore we need to use the precautionary principle and oppose this sub-division development until we know the long term remediation and management of the toxic site is in hand. Currently the owner of 100-102 McBryde street has a planning application to erect two warehouses on the site. The problem is that this property was part of the NuFarm contaminated site. The property has a clay cap to keep the contaminated and polluted soil in place. So any development that disturbs the clay cap carries a risk of spreading contaminated soil and toxic fumes from the chemicals still in the soil. The owner had put the property, very briefly, up for sale advertising that the site may be able to be rezoned for residential development. So what would it take to get the site zoned for residential use? Moreland director of planning and economic development, Kristen Coster, makes clear that any rezoning for residential development would only happen after a statutory environment audit of the site. The last statutory environment audit ocurred in 1995 which declared that the site was only fit for light industrial use, with stringent conditions for any development on the site to take place. Two properties in McBryde street Fawkner were the location of a NuFarm factory which manufactured herbicides, agent orange and other chemicals in the 1960s with dioxin a noted byproduct. The site has been called one of the top 10 most toxic sites in Australia. Although residents forced the closure of the factory in the early 1970s, it was another 15 years before any site cleanup was done. The last time there was any official inspection was 1995. It is believed that the contaminated area is larger than the two properties where a clay cap keeps much of the contaminated soil contained. This week the EPA Victoria have taken some soil samples to test for an array of toxic chemicals. What we really require is a thorough environmental audit of the entire site with community input to ensure full transparency on the testing regime. It is suspected that the area of contamination is much wider than the boundaries of the two properties being talked about, so testing should encompass this broader area. One of the fears is that any development on either site risks penetration of the clay cap and exposure of contaminated soil to the air. This may pose a wind blown toxic danger to residents over a wide area. There are plans to build warehouses on the old Nufarm Chemicals site in McBryde St Fawkner. This site was highly contaminated with dioxins when it was operational. 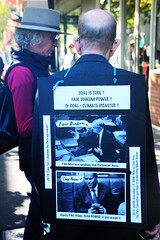 A campaign by local residents who were effected by the toxic fumes, particularly Elsie Snowden from the Fawkner Progress Association succeeded in closing the plant down. Local residents are opposed to any development occurring on the site because even cement footings for warehouses will pierce the clay cap and could cause the toxic fumes to be released again. Local residents are forming an action group to oppose the proposal and to make sure that the current generation knows how toxic this site is. The original #EPA audit of the site only audited the two central sites of the old factory and not the surrounding sites which are likely to also be contaminated. Wednesday 3 May, 7pm @ the 95 Major Road site of Fawkner Community House. Sue Bolton has initiated a public meeting in her role as a councillor. 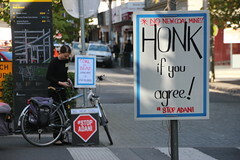 The meeting is on Thursday 11 May, 7pm at the Fawkner Senior Citizens Centre.